Hyundai cars are declared as the second largest manufacturer and largest exporter of passenger cars in India. To celebrate this achievement, the company has presented its customers with a surprisingly high featured vehicle on the auspicious occasion of Independence Day. The vehicle is equipped with all the salient features a common man can anticipate from his family car. 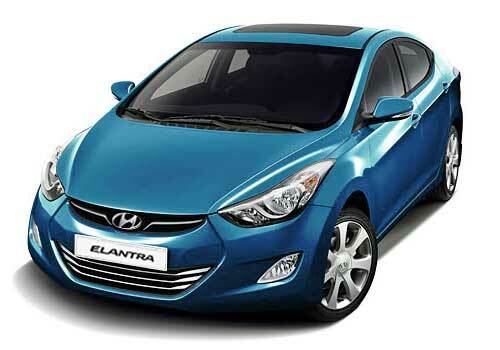 The car is named as Hyundai Neo Fluidic Elantra and priced between Rs. 12.51 Lakh to 15.85 Lakh in Indian market. The officials are claiming the car is one of the finest family vehicles available in the subcontinent. And the Hyundai Neo Fluidic Elantra features completely seem to prove them right. On the official launching on the vehicle, the company has stated that they have paid most of the attention towards the comfort of the passengers. To take the comfort to a higher level, the car is equipped with a number of attributes which makes the driving an excellent experience. Just because of these additions, the vehicle is awarded as the “2012 North American Car of the Year”. The significance of this award can be considered more important keeping the fact in mind the vehicle has some of the market giants in its competition. Still, the Neo Fluidic won the award due to its features and performance. As long as features of the car are concerned, it’s equipped with a several unique capabilities such as front ventilated seats, rear parking camera, silica tyres and solar glasses. The safety features of the vehicle entail vehicle stability management, electrically adjustable outside mirrors and eco driving indicators. There are number of entertainment factors associated like iPod cable for unlimited music access and Bluetooth enabled audio system. 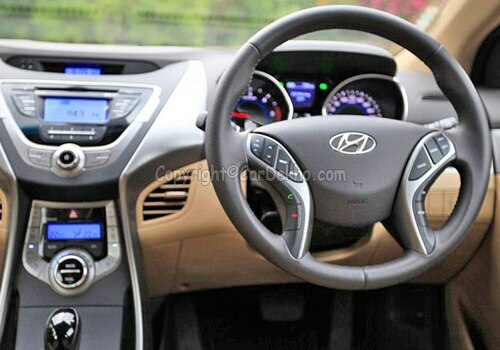 The Hyundai Neo Fluidic Elantra pictures suggest the car is just outstanding in looks. Thus, we can say the vehicle is a complete package of performance, elegance and comfort. Having so many positive aspects, the car is sure to win millions of hearts in Indian marketplace. Petrol variant of this fluidic sedan is equipped with 1.8 litre 4 cylinder engine which is capable of producing 150 bhp and 177 Nm torque while the diesel engine is 1.6 litre engine, which can produce 128 bhp of power. Hyundai india launched the new Fluidic Elantra. The car is available in both petrol as well as diesel engine options and both the variants are capable of providing excellent performance. The company is well aware of the fact Indian customers are very keen towards the affordability and fuel efficiency hence paid a good consideration towards this factor. The petrol version of the car is capable of providing 16.3kmpl while the diesel variant is much more fuel efficient with excellent mileage of 22.7kmpl. Even before its launching, the vehicle has provided the sleepless nights to its competitors with its features. And the Hyundai Neo Fluidic Elantra price is the biggest positive aspect with the car which is suitable for every common man. I shared that The all new MPV, Nissan Evalia might zoom on 25th September.